Dr. Penchuk is a board certified pediatrician and a Fellow of the American Academy of Pediatrics. She grew up in Ohio, with a few detours to North Carolina, South America, and Texas. She attended Ohio Northern University and the University of Texas in Austin. She graduated from medical school in 1985 from The University of Texas Health Science Center at Houston. She was in the Army and served as a medical officer for 5 years before settling in New England. In 1994 she graduated from the Pediatrics residency at Hasbro Children's Hospital and has been in practice in Rhode Island since that time. She opened this practice in 1998. 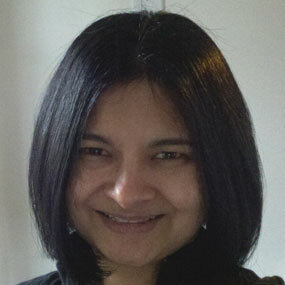 She is a Clinical Assistant Professor of Pediatrics and trains PA students at Bryant University. She enjoys square dancing and making jewelry in her spare time. 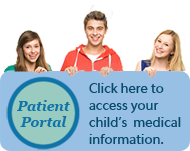 Dr. Dietrich is a board-certified pediatrician and a Fellow of the American Academy of Pediatrics. She grew up in Miami, Florida. She attended the University of Pennsylvania and the Tufts University School of Medicine. 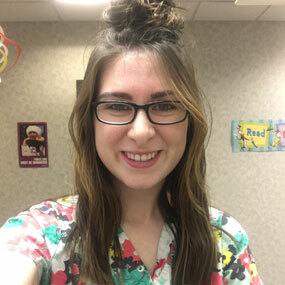 She did her pediatric residency training at Hasbro Children’s Hospital/Brown University, where she also completed a fellowship in Pediatric Infectious Diseases. She is a Clinical Assistant Professor of Pediatrics at both Brown Medical School and Bryant University Physician’s Assistant Program. She has a strong interest in infection prevention, public health and immunization policy, integration of behavioral health into primary care, and early literacy promotion. She serves on the Infection Prevention Committee at Women and Infants Hospital, the Vaccine Advisory Board at the RI Department of Health, the Behavioral Health Committee at Rhode Island Primary Care Corporation and the Practice Advisory Council for Reach Out and Read RI. She enjoys traveling with her family, reading, taking walks with her dog, cooking and doing yoga. Jennifer Barton received her Masters of Physician Assistant Studies at Massachusetts College of Pharmacy and Health Sciences University Boston, MA. She grew up in Connecticut, where she attended the University of Connecticut for her Bachelor of Sciences. She started her professional career in Pulmonary and Sleep Medicine. She then transitioned into family medicine and pediatrics. 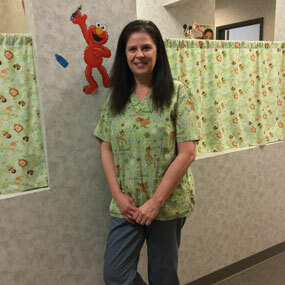 She happily joined our practice in October 2016 as pediatrics is her true passion. She enjoys hiking, reading, doing yoga and is an avid football enthusiast. Kathleen received her Associates in Business. 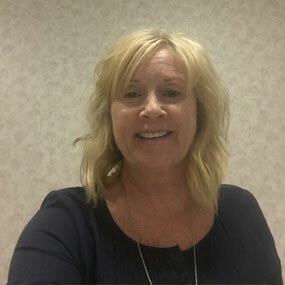 She received several certificates in education including Paralegal, Senior Professional Human Resources, and currently working on a Certificate for Medical Practice Executive through MGMA. She grew up in Cranston Rhode Island. 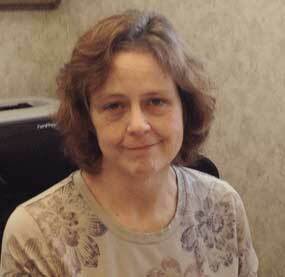 She spent several years volunteering for the MS Society. Also for the past 10 years she has been a volunteer at the Boston Marathon. She has recently joined the Advisory Board at Lincoln Technical School and is currently the Treasurer of the Board of Directors for RI/MA MGMA. She enjoys spending time with her grandchildren, tropical islands and sipping good wine. Sue attended school in Smithfield R.I.
She grew up in Smithfield and all of her experience has been hands on. She has been a part of our staff for 12 years. Sue has spent her entire career in the Healthcare arena including Women’s Health. She enjoys time spent in New Hampshire, and all sorts of puzzles. She is our resident investigator. Allison attended The Program 911 in Warwick, RI and graduated in 2016 with a certificate in Medical Assistance and Phlebotomy. 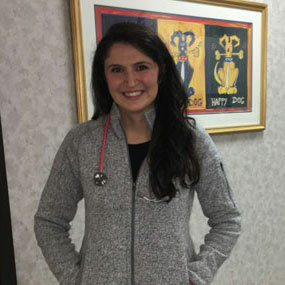 She completed her externship in Internal Medicine but loves pediatrics and is excellent with our patients. She grew up in Jamestown and graduated from Smithfield High. She loves music, dance, animals, babies and laughing out loud. 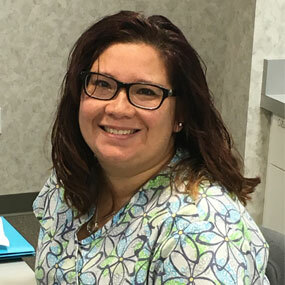 Jessica attended Sawyer school and received a certificate in Medical Assistance/Secretary and phlebotomy she graduated in 2000. Her career has been based in several specialties including Asthma, Pediatrics, and General Medicine. She has prepared clinical research in COPD, and asthma. She continues education training in medication reconciliation, vaccine ordering/tracking. She grew up in Pawtucket, likes sports and hiking up in the mountains.